ARUA – State House has justified the arrest of Kyadondo East MP Robert Kyagulanyi, aka, Bobi Wine and the shooting dead of his driver in Arua, saying their car blocked the presidential convoy while supporters pelted the Head of State ‘s vehicle with stones. Bob Wine was arrested on Monday evening while his driver was shot dead as engulfed Arua Municipality on the closure of campaigns for the parliamentary by-election. 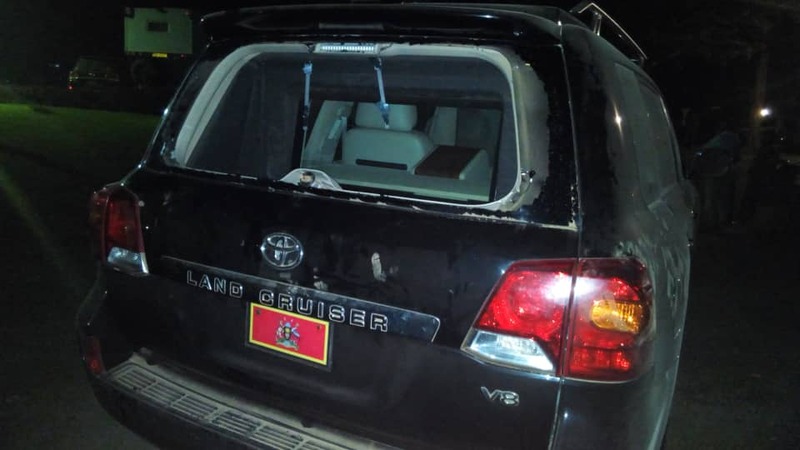 And now presidential spokesman Don Wanyama said the shooting at supporters of Independent candidate Kassiano Wadri, who Bobi Wine is backing for the MP seat, was prompted by Wadri’s supporters who pelted the presidential convoy with stones. Wanyama also shared pictures of the presidential car whose rear window was destroyed, indicating that police would issue a statement on the matter. 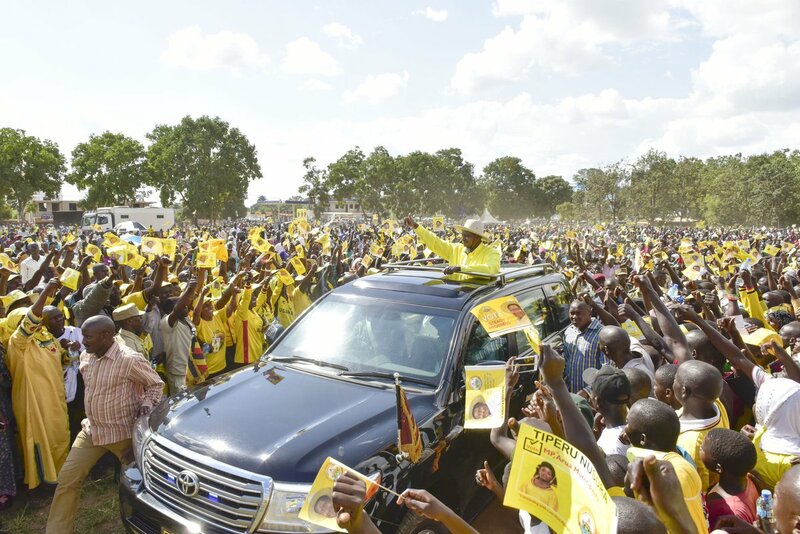 The hitherto peaceful election campaigns descended into chaos on Monday evening as supporters of different candidates retired to their different offices in Arua Town after a hectic day of final campaigns. However, supporters of Wadri and those of NRM’s Nusura Tiperu clashed when they met on Inzikuru street, prompting soldiers of the Special Forces Command (SFC) to open fire at the former’s supporters. Bobi Wine later shared pictures of the accident, claiming that he was the target and that his residence, Pacific Hotel, had been surrounded. His wife Barbie confirmed that her husband is missing and his phones are switched off. Former FDC party president Maj Gen (Rtd) Mugisha Muntu condemned the violence.